photo credit: PPI Eindhoven. 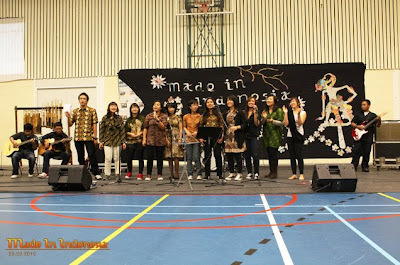 left to right: damar, yosua, jonathan, tammy, bella, carlin, octa, dyah, nila, meily, cedoth, eugin, christa, dhanu. too bad sanny's beating the drum behind. PPI Nijmegen a.k.a PPIN or "pipin" is an association of Indonesian students in Nijmegen. This blog is meant to be a wall to share quick and actual information, event updates, daily discoveries, etc. for the "far-away-from-home" students :) The contents are maintained by the "information & publication committee" of pipin.